Charlotte Short exemplifies the characteristics of someone deserving NCLCA’s Lifetime Achievement Award. From the beginning of her career as a mathematics teacher in the Kenosha Unified Schools to the culmination of her career as the Learning Assistance Coordinator at University of Wisconsin Parkside, Charlotte has fostered academic success for thousands of students. She received her undergraduate degree in mathematics and English from a small Minnesota women’s college and a MA in Developmental Education from National-Louis University in Chicago, IL. In her early career, she was active with leadership in educational youth activities like 4-H and scouting. She served as a regional officer of what was then called Extension Homemakers and was a board member of the Kenosha Literacy Council. In addition to teaching, Charlotte was actively involved in research and investigated success rates for targeted classes, the impact of required attendance, appropriate placement scores, and the retention of students who take one or more developmental skills classes. Her article, “Strong Success in Developmental Algebra: Implications for Retention and Success in General Studies” was published in Research in Developmental Education in 1996. The University of Wisconsin Parkside was the birth-site of the Midwest College Learning Center Association, now NCLCA. In the spirit of the early founders like Carol Cashen, Jonnie Dvorak, Jan Norton, Doris Nice, and others, Charlotte continued the legacy using a vision to oversee the development of the organization. Charlotte first began serving on the NCLCA Executive Board in the mid 1990s. During the late 1990s, the organization went through significant changes and moved from the Midwest College Learning Center Association to the National College Learning Center. Charlotte’s calm leadership skills and sense of direction were appreciated by all during this time of reorganization. She helped create the healthy new organization we see today. During her presidential year, 2000-2001, she served on ACDEA and helped rewrite the documentation qualifications for ACDEA Fellows. She represented NCLCA at National-Louis for the opening ceremonies of Martha Maxwell’s archives. 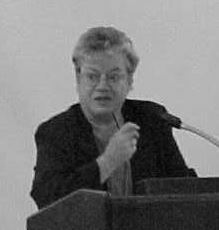 In further contribution to NCLCA, she co-chaired the Summer Institute by hosting it in 2001, 2003, and 2005 at Parkside. The Summer Institutes were very valuable to all who attended and many of the current officers in NCLCA were formerly SI participants during these years. Most recently, she was a reviewer/evaluator for NCLCA certification. Charlotte retired during the summer of 2008. She enjoys traveling and has toured Egypt, Ireland, Hawaii, and the Maritime Provinces. She and her husband, Charles, have 3 sons and 2 grandchildren. NCLCA sends her the very best wishes in all her future endeavors. We know she will continue to have a positive influence on all who enter her life in the future.